Utah, with its stunning canyons, high altitude and cycling-friendly terrain knows how to produce world-class cyclists. Whether it’s Dave Zabriskie, Levi Leipheimer, Burke Swindlehurst, Jeff Louder or others, the domestic and international peloton has been well represented by Utahns over the years. As the 2013 cycling season begins, let’s catch up with some of those professional cyclists around the world who call Utah home – to one degree or another. An amazing cyclocross season saw the Sandy resident placed third at U.S.Nationals and then 27th at Worlds a few weeks later. As spring and summer approach, Driscoll will replace the knobby tires for slicks and compete with the Jamis-Hagens Berman team. The reigning U.S. cyclocross champion calls Kamas, Utah his home base now and is wrapping up a landmark season on both U.S. and international soil. A stressful month or two saw him go from losing key sponsors to winning a stars and stripes jersey. With the World Cup season over, Page will do some mountain biking in the Wasatch and Uinta mountains before prepping for a defense of his national championship. The Murray High graduate has relocated to northern California as her cycling base of operations and after a strong season with Exergy-Twenty12 a year ago with solid results in a handful of European races. She’s now racing for Specialized-Lululemon where her skills as a time trialist and super domestique will help one of the world’s top women’s teams have another breakthrough season. It’s not quite time to hang up the lycra yet for The Professor. The criterium specialist is heading up a grassroots pro team and funding its race schedule with cycling clinics and old-fashioned hard work. Primal Pro Women will be hitting many of the top women’s races in the country with a focus on races in the west. Wangsgard, though devoting plenty of time to running the team as well as teaching at Southern Utah University, will likely find her way to a podium or two as the crit season heats up. Like Wangsgard, Pezzulo is a criterium crusher with wins at Tulsa Tough, Evanston and a Utah State title to her name. After spending much of the 2012 season giving birth and taking care of the newborn, Pezzulo anticipates being back in the saddle with Primal Pro Women and assisting with the grassroots nature of the team. The West High grad had a rough 2012 – fighting injuries and sickness for much of the season and not having the results with his Bissell Pro Cycling team Pinkham had worked so hard for. With the health issues hopefully behind him, Pinkham is now riding with Jamis-Hagens Berman and has a few Utah buddies on the roster with whom to share the workload. After a season with the BMC/Hincapie Development team, Putt has moved on to join Axel Merckx’s Bontrager squad. A season of top-tier races in the U.S. with a sprinkling of international competition should help Putt, who placed fifth in the U.S. U23 national championship criterium race and second in the U23 road race, add to his palmares. The multi-discipline wunderkind from Alta High School has signed with the fledgling Italian team Flaminia-Fondriest and will be racing throughout Europe. He’s spent the last two years tearing things up for the Garmin-Sharp development squad, Chipotle-First Solar. The 2012 Cycling Utah Rider of the Year, Swenson had a phenomenal season with wins across the country and into Mexico as well as numerous Top 10 finishes at World Cup races in Europe. Swenson is one of the country’s fastest-rising stars. 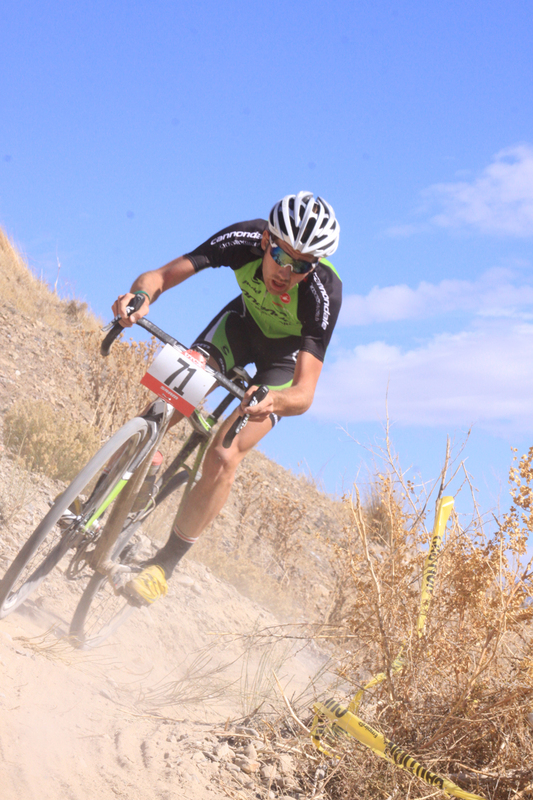 The Park City native can throw it down in the road or at cyclocross races. The youngster captured a trio of victories at the USA Cycling national mountain bike championships with titles in cross country, short track and Super-D. With that success behind him, 2013 promises to be another exciting year. With time spent in the Best Utah Rider jersey at the 2012 Larry H. Miller Tour of Utah, O’Leary had one of his strongest seasons to date. A cancer survivor who has shared time on the bike with time advocating for cancer research and treatment, O’Leary is also becoming a bit of a celebrity. In addition to his racing schedule, Connor and his father will appear on the hit television show The Amazing Race. If it’s a mountain bike race, you can bet Grant is a contender. He’s already teamed up with his Sho-Air buddies with capture the 24 Hours of Old Pueblo endurance race – Grant clocked the fastest lap of the race – and is looking forward to defending his Park City Point To Point title (again) later this summer. Keep your eye on Eisenhart as he begins his professional career after graduating from Lehi High School. With 2012 overall victories in the UCI Tour du Pays de Vaud. and the Tour de l’Abitibi, it was little wonder Eisenhart picked up a pro contract. Splitting time between Europe and America, Eisenhart – who also placed second in the USA Junior National Time Trial championship – will seek to take his game to an even higher level as the competition gets tougher. An assistant professor of economics at Utah State University, Gorry races professionally for a team that also plays a big role in Multiple Sclerosis rides across the country by hoping on tandem bikes with a rider suffering from MS. Gorry had a handful of Top 10 finishes in road and cyclocross races including taking top honors at the Harvest Moon Cyclocross race in September. Balancing motherhood and racing is turning out pretty well for the mountain bike pro who splits her time (and training) between the Wasatch Front and Las Vegas. With several wins at some of the top mountain bike races in the west, Tingey has proven to be one of the top racers in the country and shows no signs of slowing down. One of Utah’s perennial mountain bike and cyclocross stars, Kathy will be racing again this year for Stan’s NoTubes. In 2013 she has already started the season with a team win at 24 Hours of the Old Pueblo. Expect her to add to her career total of 94 wins. Sarah is set for a comeback season this year after having health issues and being hit by a car in 2012. Expect her to excel in cross-country during the spring and summer, and finish strong in cyclocross in the fall. The youngster from Pocatello is no secret around the Intermountain West and has been putting the hurt on racers much older than him for years. Now, he’s signed with Cal Giant-Specialized and will be hitting a regional and national racing circuit that will give him even more experience and exposure. A rising star to watch for. Perhaps Utah’s top current pro, Louder is a leader with his UHC squad and calls upon his experience and talent as the Blue Train remains one of the top teams in the domestic scene. With a handful of races in Europe, South America and elsewhere each year, UHC will have Louder’s trademark breakaway attacks front and center throughout the season. The Salt Lake City native and resident is certain to challenge for podiums throughout the season. The Australia native and Park City resident raced with Competitive Cyclist a year ago. After that team merged with another team, there was some roster shuffling and Nankervis found himself a home with one of the top squads in the domestic peloton. The Aussie workhorse will ride for Bissell Pro Cycling with an eye on helping his team at NRC and North American UCI races. After winning the NCAA Division II national championship for Salt Lake Community College last year, it was no surprise that Brown caught the attention of various high-level teams. Brown will race in 2013 for the Illinois-based team at a variety of national-level races. Dave Zabriskie – Garmin Sharp. Captain America, an Olympus High graduate and native Utah who now calls Southern California home, has been on the sidelines for a few months. After his confession to using performance enhancing drugs in USADA’s investigation of the U.S. Postal Service team and Lance Armstrong, Zabriskie was given a 6-month ban from competition. The reigning U.S. Pro Time Trial Champion is eligible to return to competition in March. One Response to "Utah’s Pro Cyclists"